Do you have a lunch room/area we can eat? Do you have baby-changing/feeding facilities? Do you have a cloakroom/storage facility? Do you have a Gift Shop and do I need to buy an entry ticket to go into the Gift Shop? 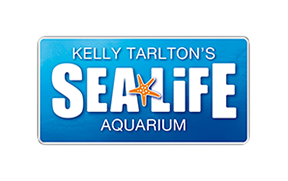 Do you accept foreign currency at SEA LIFE Kelly Tarlton's ? Unfortunately we only accept cash payment in New Zealand Dollars, however we do accept debit, credit and eftpos payment cards on site.